E.A.D. 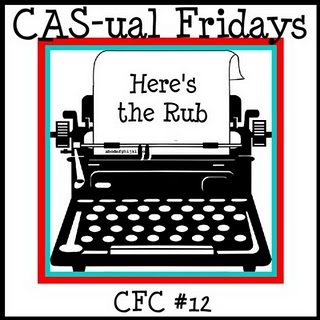 Designs is sponsoring this week's CAS-usal Fridays challenge CFC #12! Extra products used on my card: Paper Smooches Swanky Snowdudes stamp set, Neenah cs, CM dp, CTMH mini ric rac, u/k button, Nestabilities, SU scallop border punch, Copic Markers and Uniball White Signo Pen. Inspiration for my card also came from this week's sketch #125 at Card Patterns. Your next stop on the hop is Amy C! Don't forget to comment on each stop on the hop, including the E.A.D. Designs blog to be entered into this week's random giveaway! Winners are announced each Monday on the E.A.D. Designs blog! 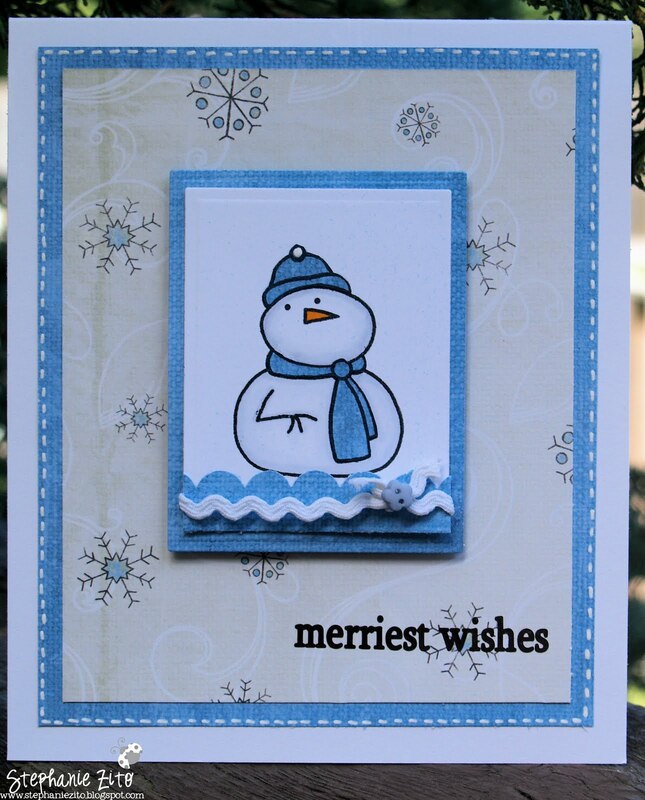 Great sentiment for your snowdude card! Love your card -- it is simply elegant! What a sweet Christmas card! Super cute - I love the snowman. TFS! What a cute card! I love the backgorund. What a cute little guy! Great card -- maybe you can get a start on your Christmas cards now with all of your spare time :) lol!! So sweet! I love your little snowman, he's super cute. The papers are really pretty too! Your snowman is adorable. Love the colours you used! Oh now this is absolutely adorable! Love the fun wintery colors. Thanks for playing at CAS-ual Fridays! Stephanie the card is so adorable! Sooooo cute!! 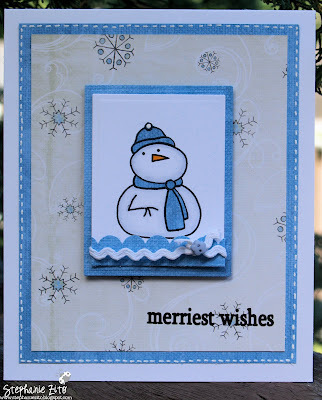 Love the little snowman and the colors are fabulous! !